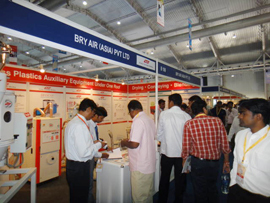 Bry-Air participated in Plexpo 2016 held on 7-11 Jan at Exhibition Center Gandhi Nagar, India. The exhibition focused on services providers and distributors in Rubber, Plastics, Plastics Industry and Plastics Technology segments. 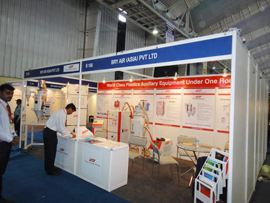 Bry-Air displayed BHD-60, BVL-150F, HP-65,HAD-25 and MDS-500 at the stall. Visitors interacted with our Airgineers to understand the applications in plastics drying, conveying and blending.